A radical design by Jim Young the Rocket 31 is a fast, light, planing boat built to no rule or regulationis. They are still a very competitve and fast yacht. Built using the Cedar Core method, this Rocket 31 sails like a dinghy and is set up for cruising. The boat is very beamy, which makes for spacious cruising and can accomodate a lot of people for a 30 footer. She is Australian and QLD registered so you can easily take her cruising up to PNG, the Solomans, New Caledonia and on. The engine, stern drive, propellar shaft, propellar, stern tube bearing and seals are all new in 2013. Only 260 hours on the engine. 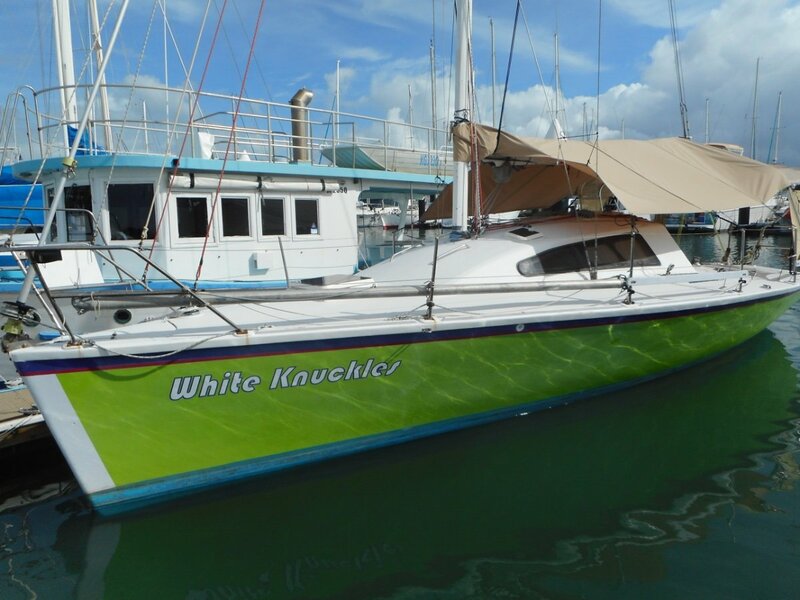 The current owner has moved up to a bigger liveaboard and is keen to sell. All offers considered. This vessel presents in good condition but does require some attention to the cabin sole and transom port lights.